In recent years, there have been profound changes to the way that we do business online. Social media has been the facilitator of this and so has data and the way that we work with it. Whilst once data analytics was only really the domain of data scientists and analysts, now powerful software allows even those with little to no technical knowledge to work with the data generated by a business. The upshot of this is that we can now access all kinds of customer data – transactional and behavioural – in order to deliver a better and more personalised shopping experience to consumers. When it comes to content personalisation, there’s no better example than Amazon to understand how it works. The idea is that targeted offers and content can be sent to customers whilst they are still in the buying funnel. Amazon delivers a personal experience from the moment that you login into the site. As you can see in the image above, suggestions are made based on previous purchases. The company couple this with targeted emails when you don’t buy anything, or even when you do. The site picks up what you’ve viewed to determine what you like alongside previous purchases made in order to send such offers. It’s thought that Amazon generates an additional 10 – 30% in revenue through personalisation. Due to this, the company is always looking to improve on its algorithms that drive personalisation on the site. Most companies can’t afford to develop complex algorithms to ape what Amazon does, but more and more integrated digital marketing solutions are appearing that allow us to have our own recommendation engines at an accessible price. The other option is of course to have one developed for you by a professional software engineer, but this is likely to run well into the 1000s to implement. The days of email marketing that used just the first name as a means to personalise the experience are well and truly over. Now personalisation should be more focused on segmented groups so that content and products can be shown to the right people. 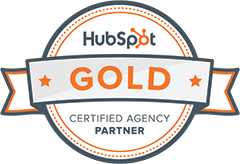 As Hubspot points out, it doesn’t have to be complex and it shouldn’t be overdone, it should be crafted so that it’s relevant and useful to the recipient. Hubspot details Slingshot as it’s an “an excellent case of using personalisation (sic) with restraint.” The “hi there” salutation softens the part that can often sound impersonal and makes it sound more conversational. The company name is used in the body of the email so that it appears more natural and the list was segmented in order to only include those who had not previously downloaded the content. For example, a customer that has made a previous purchase is unlikely to be happy with an email that offers them that same product. A simplistic example perhaps, but one that clearly demonstrates how powerful segmenting can be. Social media is, for all businesses, a hotbed of opportunity, especially when it comes to personalisation. However, it’s not easy to deliver personalised messages over the medium without automation that’s obvious to the user. Consumers are wise to a lot of the tactics used by advertisers now and this means that if it looks like a bot, then they are very likely to just ignore it. This means that in order to be successful when using personalisation on social, it’s necessary to ensure that messages are carefully crafted in order to deliver relevance and meaning to the right audience. Further to this, you need to be able to take the information that is gathered about the user and establish intent in order to be able to give an accurate, personalised experience. This means really getting down to the nitty gritty of what interests users, rather than playing a guessing game, and analytics can help you with this by providing data which can be used to spot trends in user activity. Econsultancy recommend that you gather as much data from as many channels as possible in order to do this. You then of course have to filter out the noise in order to get to the really useful data underneath. Social personalisation isn’t an easy task and it does take time, but modern CRM packages can help you to pull in data from various sources in order to allow you to offer better experiences. Of course, you can’t ignore mobile either when it comes to delivering a personalised experience. Many sites are choosing to serve dynamic content to mobile visitors and again, this can be informed by data and analytics. Every site should by now be prepared for mobile, especially since Google rolled out its mobile friendly update recently to ensure that sites that have decent mobile UX and performance will be ranked more favourably than those that don’t. Email should be optimised for mobile and different content served to mobile users than desktop. The answer to the mobile problem lies in responsive design for most businesses, as this adapts to the screen no matter what device the site is accessed on. Content personalisation can be as simple as segmented and targeted emails, to as complex as delivering it through social media and dynamically served content whilst the customer is browsing on the website. It takes time and the use of analytics to fully get to grips with it all, but there’s no doubt that it’s highly valuable to those businesses that use it, with improvements in revenue to be had. This entry was posted in Strategy and tagged content personalisation, digital marketing, digital strategy.